John Evans’ is the go-to manufacturer of a variety of products for the retail industry. John Evans’ Sons offers both constant force and variable force springs to optimize the customer experience with your display design. We encourage customers to contact us early in the design of the display and often can work with your display at our facility to offer the best spring design. Pusher springs (constant & variable force) to secure products at the front of a display. 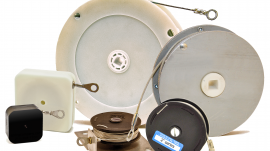 Enclosed Reels (spring retrievers) for product security/product placement. 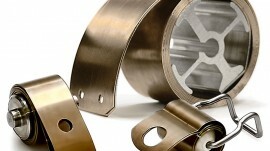 We have standard spring end detail tooling and stock spring designs for immediate delivery. We are also pleased to develop unique tooling to support your custom designs.